As an oasis for the LGBT community, Greater Palm Springs offers a diverse line-up of events for the gay, lesbian and transgender community. 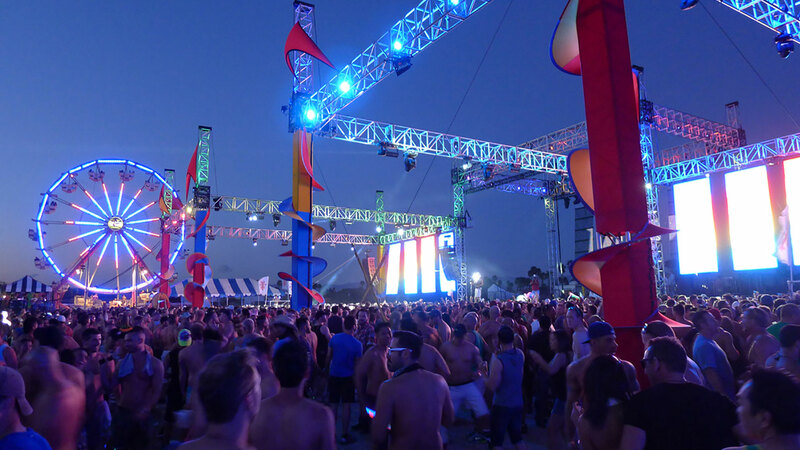 These signature LGBT events are just a few favorites. Stories from the LGBTQ community are told on the big screen during Cinema Diverse, an annual LGBTQ film festival in Greater Palm Springs. Presenting the best in gay, lesbian and transgender cinema, Cinema Diverse offers a chance to see award-winning films and shorts at theaters in both Palm Springs and Cathedral City. Since launching in the 1990s, Palm Springs Leather Pride has become one of the largest and longest running leather events in the country. The weekend includes cocktail hours, late-night festivities, clothing-optional pool parties and the crowning of Mr. Leather. As an oasis for the LGBT community, Greater Palm Springs has a long history as an oasis for the LGBT community, and no event celebrates this diversity more than the annual Greater Palm Springs Pride Festival. For over 30 years this all-inclusive Pride festival features block parties, live entertainment and a popular parade through downtown Palm Springs. Drag queens, bartender battles and a bed race make for an exciting weekend during Cathedral City LGBT Days. By day, enjoy an art fair, explore the booths or grab an LGBT Days brunch. After hours, dance the night away with a live concert in downtown Cathedral City. Also, don’t miss the thrills of eccentrically decorated four-post beds sprinting through downtown during the annual bed race competition. Girls run the oasis during The Dinah, the premier lesbian party in Greater Palm Springs. This popular weekend gathering is filled with fun festivities like sun-soaked parties by the pool, late-night dancing and even a comedy show. 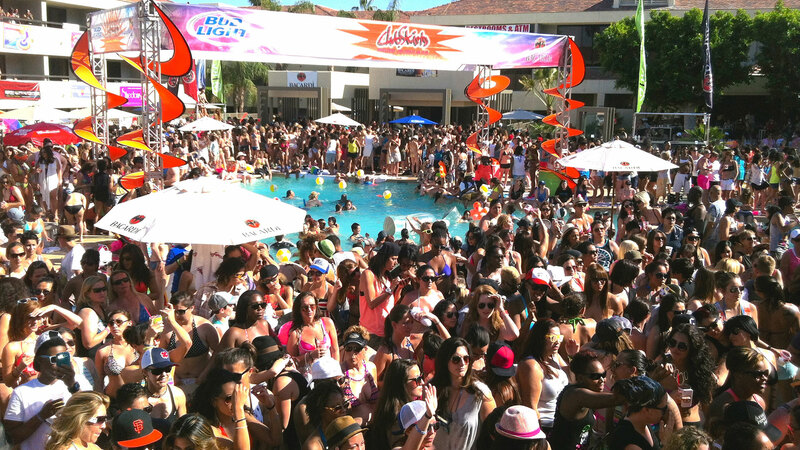 Don’t miss one of the largest lesbian parties in the world. Make a splash in Greater Palm Springs during White Party Weekend, one of the top dance parties for gay men in the oasis. The weekend includes poolside parties, a Sunset Dance with live performances and the namesake event: the colossal White Party on Saturday night. For more, check out our Greater Palm Springs LGBT page.